There are a number of train types in the Netherlands ready to transport you to every corner of the country. Most of the Dutch network is operated by NS (Nederlandse Spoorwegen). Use the to check times for trains in the Netherlands. 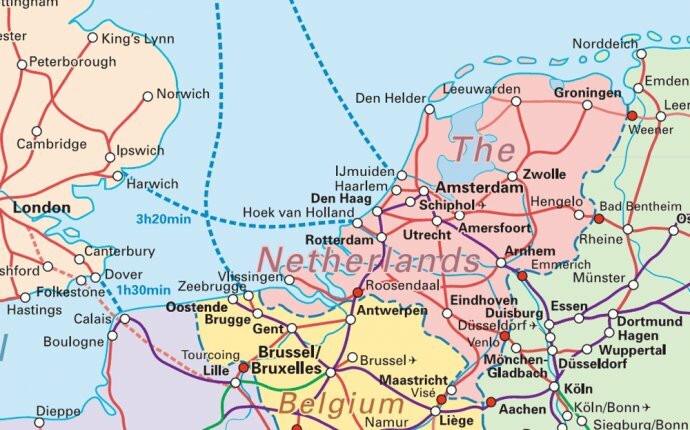 Intercity trains link larger cities like Amsterdam, Utrecht and Maastricht. Sprinter trains connect regional destinations with larger Dutch cities. These trains are slower than Intercity trains. On the Intercity trains appear as "IC". Sprinter trains appear in the timetable as well, but not with an abbreviation. Reservations are not required for Intercity and Sprinter trains. trains operate between Amsterdam and Frankfurt (Germany). IC trains connect Amsterdam with Berlin (Germany). InterCity trains link The Hague and Rotterdam with Brussels (Belgium). trains connect Amsterdam with Brussels (Belgium) and Paris (France). The InterCity Direct high-speed train (formerly known as Fyra) operates on the route Amsterdam – Schiphol – Rotterdam – Breda. On the ICE trains are shown as "ICE", IC and InterCity trains appears as "IC", and Thalys as "THA". Reservations for Thalys trains are compulsory and we recommend you make them as soon as possible. A reservation is not required for ICE and IC trains, but we recommend you make them during busy times.